This year, the USDA’s Sustainable Agriculture Research and Education (SARE) program celebrates its 25th anniversary. The program aims to promote sustainable farming by funding research into different areas of sustainable farming such as cover cropping and rotational grazing, as well as operating competitive grant programs for farmers. 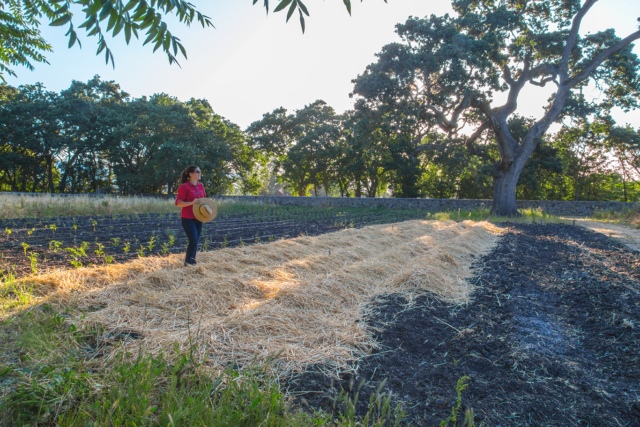 SARE was the first USDA program dedicated to sustainable farming and remains the centerpiece of the USDA’s sustainability efforts. One area that SARE provides funding and education for is cover crops. For example, they funded a 1989 project in Maryland that “…showed farmers could save $27 per acre in today’s dollars…” by cutting back on fertilizer use. 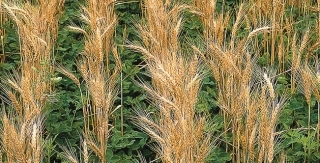 SARE also funded a 2007 study that found that cover crops can greatly increase corn yields on farms without irrigation. SARE-funded research on cover crops. Photo courtesy of sare.org. SARE has also funded local marketing projects as well, including some of the first educational programs for developing community-supported agriculture (CSA) programs. Today, one of their focuses is on improving the infrastructure for marketing local produce. They have also supported research into complete agricultural production systems. For example, one of their grants funded a project at the University of California Davis that compared organic versus conventional production of several varieties of crops. Looking forward to the future, SARE has funded projects about topics such as small-scale meat processing, energy independence, and water scarcity. 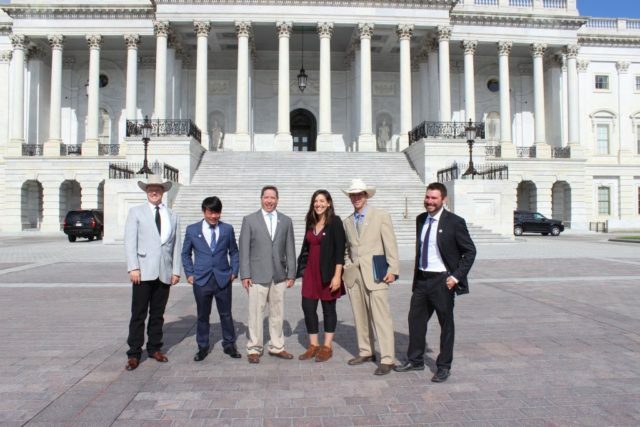 It has even begun a Graduate Student Grant program that aims to help young and beginning farmers, ranchers, and educators. For example, it is funding a 2012 study by a Virginia Tech student examining the effects of “mob grazing” – or ultra-high density grazing – on water quality and soil health. Map of SARE research regions. Photo courtesy of sare.org. 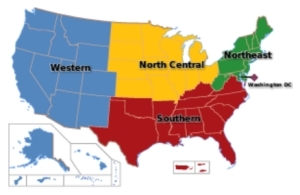 SARE is divided into four different regional councils: Western SARE, North Central SARE, Southern SARE, and Northeast SARE. 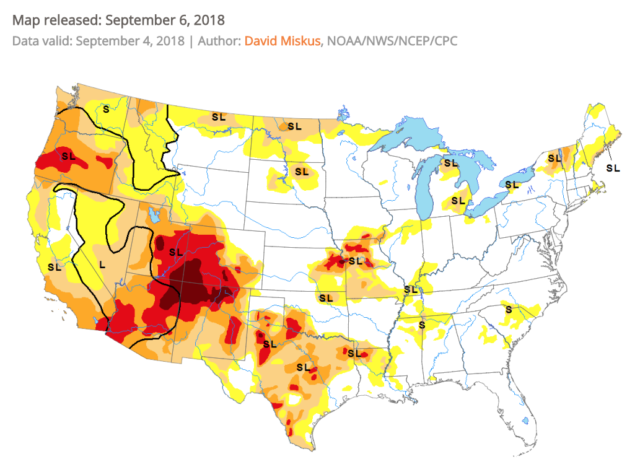 These councils include farmers, scientists, non-profits, and others, and they set priorities for their respective regions and provide grants to the farmers and ranchers in those states. The different types of grants that SARE offers include farmer/rancher grants, research and education grants, professional development program grants, and graduate student grants. For more information about applying for a grant, you can visit this page. SARE also has an online Learning Center where they post books, online courses, fact sheets, and many more things. You can view it here.